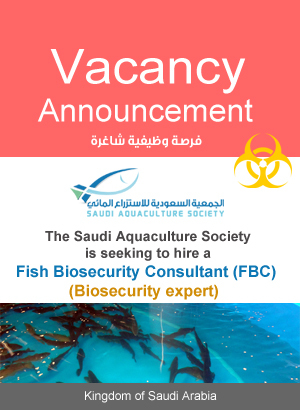 Under the patronage of the Ministry of Environment, Water and Agriculture, the Second International Trade Fair for Aquaculture will be launched in conjunction with the 37th Saudi Agricultural Exhibition which organized by Riyadh Exhibitions Company Limited at Riyadh International Convention and Exhibition Center from 7th to 10th October 2018 corresponding to 27th Muharram – 1st Safar 1440h. With the first participation of the aquaculture sector through the Second International Trade Fair for Aquaculture. This year, the exhibition focuses on aquaculture sector, organic agriculture and their products, based on the new governmental directions aimed at achieving sustainable food security, based on the vision of the Kingdom 2030.Saudi Agricultural Exhibition has a leading position in the field of agricultural development and its related industries, through the continuous support of the Ministry of Environment, Water and Agriculture, due to its active contribution to support and develop agriculture sector in Saudi Arabia and transferring it to international levels.In conjunction with Saudi Agro Food Exhibition, Saudi Food Packaging Exhibition and Aquaculture Exhibition, the Saudi Agricultural Exhibition brings together the major local and international companies to review the latest technologies and services that meet the needs of the agriculture and aquaculture sectors. 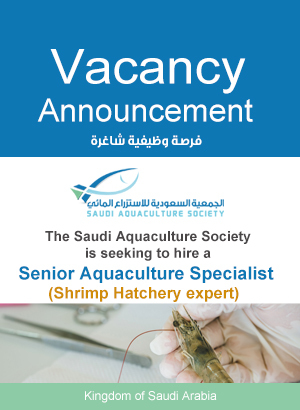 National Fisheries Development Program, in close cooperation with Saudi Aquaculture Society, is working to establish specialized exhibitions in aquaculture as a part of plans to support and encourage investment in aquaculture sector and to present opportunities and investment options available to local and international investors. Saudi Aquaculture Society has organized the first specialized exhibition for aquaculture in the region, in conjunction with the Forum of Investment Opportunities in Aquaculture Sector in the Kingdom, which was held in Yanbu on 27th January 2016.